As American as apple pie, so are the colors of our flag. 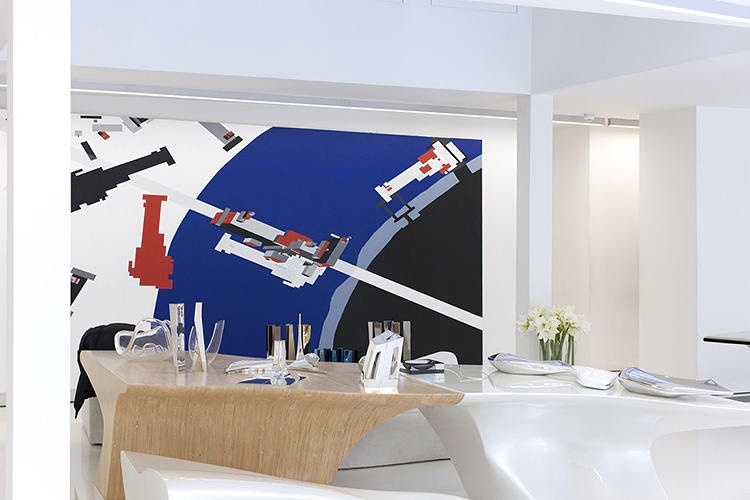 This trio of red, white, and blue in home decor usually conjures up traditional plaid, needlepoint, etc., but it can actually be quite chic and modern. 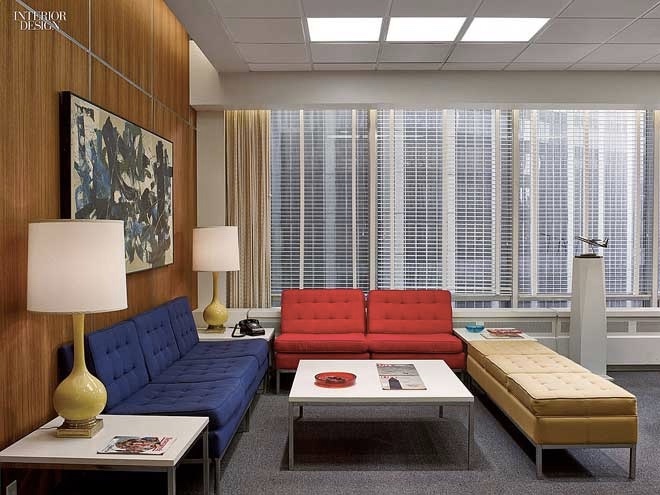 Think Mid-Century modern retro furnishings like those found below in Cindy Allen's Mad Men sets and bright artsy homes, and then shop the look to inject these bold primary colors into your own home!